King size is approximately 76" wide by 80" long. All other sizes are available. 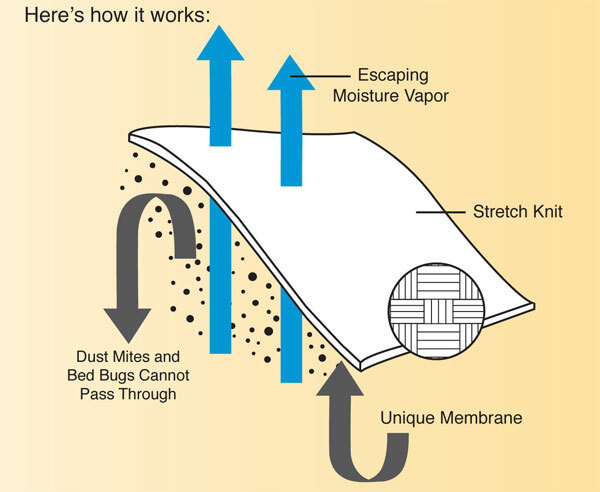 2 Box Spring Covers Split Box each 38" x 40"
This King Bed Encasement Kit will actually encase and enclose the mattress and box spring fully, protecting the mattress and box spring from bed bug infestation. 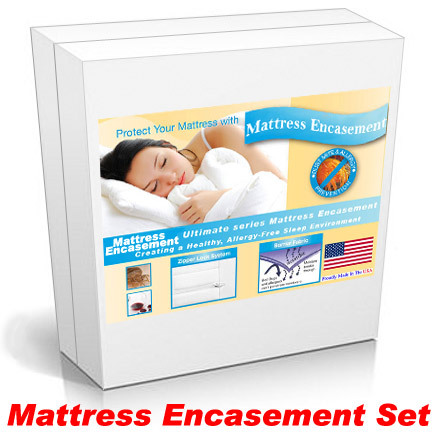 King Bed Encasement Kit For Mattress, Box Spring, and 2 King Size Pillows. 100% allergy and dust mite protection. Sewn in the USA.